Just kidding – there’s no trick! We just want to help make your life easier… keep reading! Maybe you don’t have a content management system (CMS). Maybe you do – Drupal, for example – but it’s frustrating to use. Maybe you’re already on WordPress, but it’s outdated. Trying to update your website is confusing and frustrating, so much so that you often don’t want to bother. Don’t give up on your website quite yet! Right now, our programming team has room to fit a few more projects into their schedule. It’s future-friendly & open-source (read: FREE to use). It’s super easy to manage your website. Updating content & images is a breeze. You contact us to claim your deal. We prepare you a FREE, no-obligation quote. 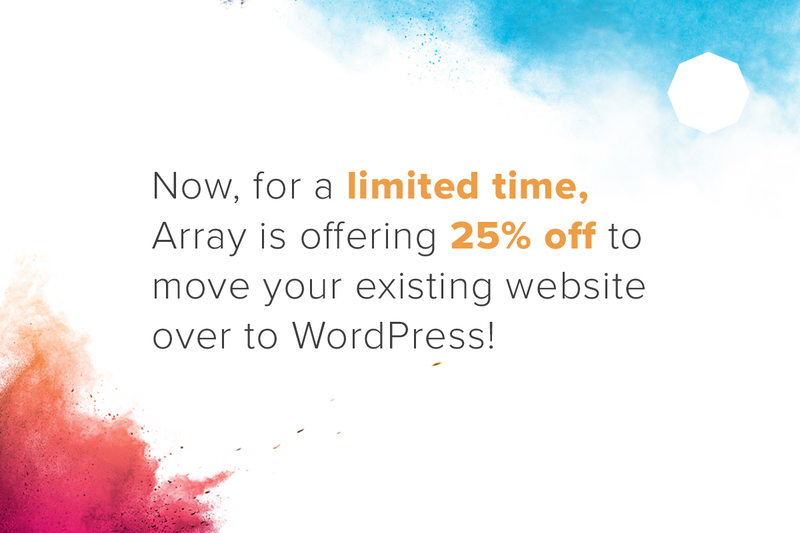 You get 25% OFF your quoted cost. We take your existing website (images, content, etc) and program it for WordPress. 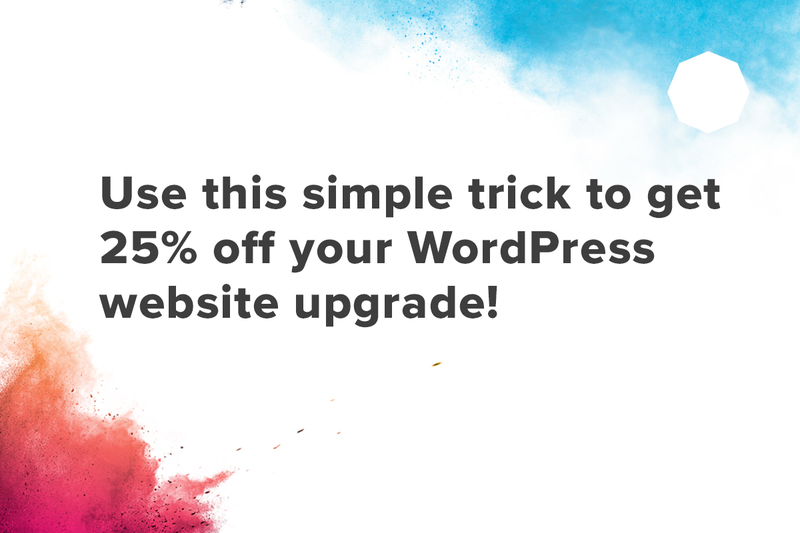 We show you how to use WordPress to easily update your website. Your life (or at least updating your website) is so much easier! Spots are limited and this discount is only available for 45 days!